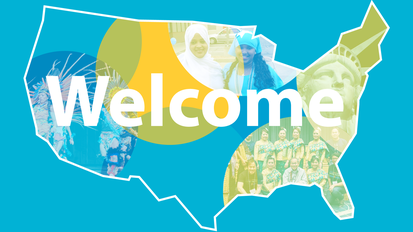 Join City of Minneapolis leaders, the Minneapolis Office of Immigrant and Refugee Affairs and Carry-on Homes for a celebration of Minneapolis’s vibrant immigrant and refugee communities as part of Welcoming America’s national Welcoming Week. On Friday, September 21, from 3:30-7:00 p.m. at The Commons park area, near the Vikings stadium, the Minneapolis Welcoming Week Celebration will feature live performances, music, food trucks, art exhibitions, voter registration and an opportunity to celebrate with neighbors, nonprofit organizations and City leaders. Learn about national Welcoming Week. NCR is excited to announce a new learning lab in our Community Connections learning lab series: Considerations for Engaging Immigrant and Refugee Communities. Join Michelle Rivero, Director of the Office of Immigrant and Refugee Affairs, to learn about how immigration policy can impact engagement between residents and their local government, and what you can do as a City employee or community partner to help Minneapolis be a safe and welcoming environment for all. Immigration basics such as the federal agencies (USCIS, DHS, CBP, ICE, etc.) that set or enforce immigration policy and how they work (or don’t work) with local government. The spectrum of immigration status: refugee, asylee, TPS holder, permanent resident, undocumented and many others. Considerations for Engaging Immigrant and Refugee Communities is part of the Community Connections series, which will run from September 12 – November 14 in the mornings, and September 20 – November 8 in the evenings. You can view the updated schedule and enroll today at Minneapolismn.gov/ncr/learninglabs. Email ncr@minneapolimn.gov or call 612-673-3737 if you have additional questions or difficulty registering. As part of National Voter Registration Day, NCR's entire staff will be out registering voters on September 25. Please contact Ariah Fine at ariah.fine@minneapolismn.gov if your organization is interested in partnering with NCR for an event, or host one yourself using the links below. Early voting will be open starting September 21, and will run through Monday, November 5, when it will close at 5 p.m. For hours and answers to other election-related questions, visit vote.minneapolismn.gov. In June 2018, City Council approved the funding of 10 projects that will improve safety in Minneapolis neighborhoods as part of the Collaborative Safety Strategies program. One of the funded projects is Lake Street Live, which uses visual art, story and movement to create a child-centered experience of belonging on Lake Street around the childcare center, Ayeeyo, and the surrounding blocks. The partners include Don't You Feel It Too dance, Indigenous Roots Cultural Arts Center, the Million Artist Movement, Pangea World Theater and Ayeeyo Childcare Center. Congratulations to this intercultural collaborative on the completion of the mural component of their project! Stop by Ayeeyo Childcare Center on Lake and 18th Ave. on September 9 to view this collaborative artwork. Share their event using the Facebook page here. Join the Don't You Feel It Too dance events here. Cultural and community nonprofit organizations, you're invited to apply for funding for leadership development projects in Minneapolis through the One Minneapolis Fund. The 2020 census count will determine how many representatives Minnesota receives in Congress as well as federal funding allocations for the next decade. The City of Minneapolis is taking steps to ensure that the 2020 census accurately counts Minneapolis's residents through the establishment of a community-led Complete Count Committee to guide the creation of an engagement campaign. The Complete Count Committee is made of up of representatives or advocates from historically under-counted communities and provides guidance and support for the City’s outreach and engagement efforts around the census. You can find the application in the linked page below. Committee meetings are held quarterly. Read the full vacancy description here. On Sunday, August 19, the North Loop Neighborhood Association (NLNA) hosted its first annual Chalk Art Day. On a stretch of sidewalk on Washington Ave. by 6th Ave., over 200 neighbors of all ages participated. "Our goal was to create an artful event that would engage the entire neighborhood – all ages, families, renters, [home] owners, businesses and visitors, and that’s what happened. We also let people know the event was sponsored by the North Loop Neighborhood Association, and offered information about what we do. We plan to make it bigger and better next year!" - Tim Bildsoe, NLNA president. NLNA partnered with an experienced chalk artist who organizes these events all over the world. The artist supplied all the chalk and drew an incredible 3-D image on the sidewalk that captured the attention of all passing by. How can Minneapolis transit improve? Share your travel habits and suggestions for improvements that should be made to the city’s transportation infrastructure. You will be entered to win one of two $25 gift cards if you complete the online survey. 2019 Community Connections Conference – Save the date! The 2019 Community Connections Conference will be held on Saturday, February 2 at the Minneapolis Convention Center. Visit the NCR website to see highlights of our past conferences. NCR is also seeking volunteers for the Conference Advisory Committee, which will meet monthly. Email ncr@minneapolismn.gov if you’re interested in helping to shape next year's conference. A new service animal law went into effect in Minnesota on August 1, 2018 that makes it a crime to misrepresent an animal as a service animal. By definition, a “service animal” in Minnesota can be only a dog or miniature pony that is individually trained to do work or perform tasks for a person with a disability. Service animals do not need to wear a special vest, ID tag or specific harness. Require individuals with a service animal to use a specific entrance. Questions? Contact your health inspector by calling 311 (612-673-3000) or email health@minneapolismn.gov, using the subject line "Service animals." Bryn Mawr Neighborhood Association (BMNA) is seeking a neighborhood communications and funding coordinator and event coordinator. Northeast Park Neighborhood Association (NEPNA) is hiring a community organizer. If you are passionate about good government and effective engagement, consider serving on the Neighborhood and Community Engagement Commission (NCEC). We are currently seeking a commissioner to represent the following neighborhoods by September 28: Armatage, Cedar-Isles-Dean , East Harriet Farmstead, Tangletown, Fulton, Kenny, Linden Hills, Lynnhurst, West Calhoun and Windom. Minneapolis Connects is published by the City of Minneapolis Neighborhood and Community Relations department (NCR). If you have stories or community events that should be included in next month's edition, email rebekah.tedrick-moutz@minneapolismn.gov. For questions, accommodations or alternative formats, please contact Neighborhood and Community Relations at 612-673-3737 or email us at ncr@minneapolismn.gov. People who are deaf or hard of hearing can use a relay service to call 311 agents at 612-673-3000. TTY users can call 612-673-2157 or 612-673-2626. Para asistencia 612-673-2700 • Rau kev pab 612-673-2800 • Hadii aad Caawimaad u baahantahay 612-673-3500.